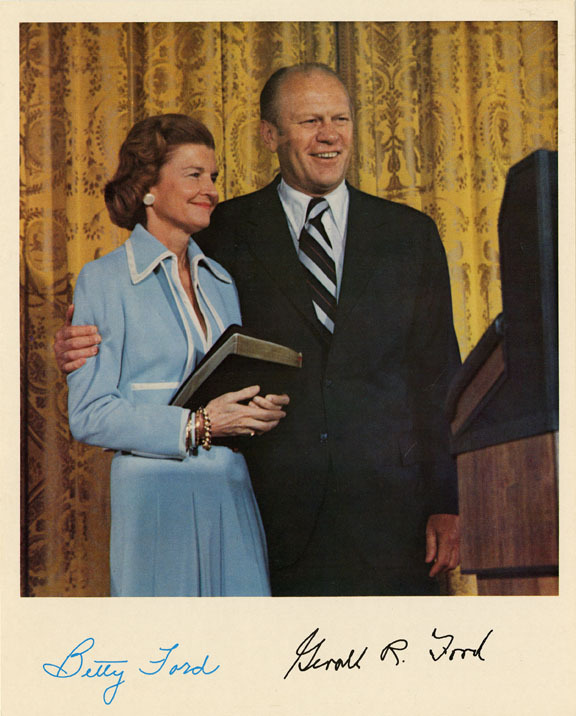 During the White House years, President and Mrs. Ford occasionally signed items by hand. 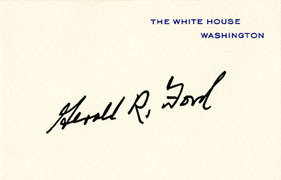 Much more frequently the White House staff used autopen machines to reproduce signatures on photographs and letters. Even the autopen did not allow the staff to keep up with the flood of autograph requests received, so many routine requests were answered using reprints of signed photographs or autograph cards. Examples of these appear below. 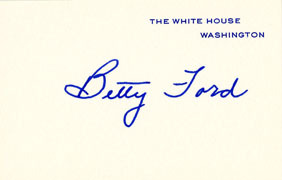 You can also use this link to view Liberty Ford's "paw-tograph" (photographs "signed" by the Ford's dog Liberty).